the user has the option to set the default size of lock grid so he or she doesen’t have to change it everytime in the tool and paint settings thank you. This can be done with the project preset management system. 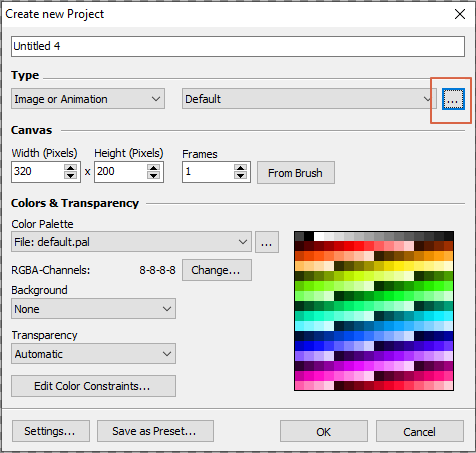 You can create your own project types having their specific settings such as sizes, palettes, lock grid etc. .